ABOUT 2120 Southwest Queensland locals are diagnosed with cancer each year and about 685 people die from the disease, new Cancer Council Queensland data shows. Cancer Council Queensland's Viertel Cancer Research Centre has released 2015 data and trends (the latest available from the Queensland Cancer Register) for incidence, survival, mortality and prevalence, providing the latest snapshot of cancer in Queensland. 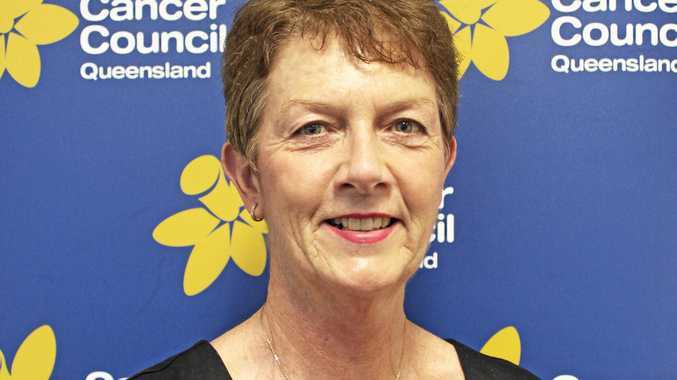 Cancer Council Queensland chief executive Chris McMillan said the data showed the top five most commonly diagnosed cancers in Southwest Queensland were prostate cancer, melanoma, colorectal cancer, breast cancer and lung cancer. "Around 315 local men are diagnosed with prostate cancer each year and sadly about 50 local men die from the disease,” Ms McMillan said. "Melanoma is the second most common cancer in the region, with around 305 people diagnosed each year. "About 270 locals are diagnosed with colorectal cancer each year in the region and around 240 localwomen are diagnosed with breast cancer each year.